After a long day's sightseeing, you'll want to treat yourself. Day Spas in Auckland are easy to find and provide fantastic personal service. Whether it's a simple manicure, or a full day checking out hot pools and spas, let yourself go. Auckland Day Spas are famous for their friendliness and laid back approach. You can find everything from skin treatments and hot soaks, to waxes, massages and body wraps. Throw in a few mineral pools and hydrotherapy programmes, and you pretty much have it covered. The CBD has at least a dozen good spas, especially around SkyCity and Victoria Street. 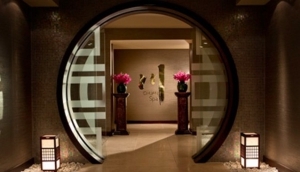 Investigate the top class hotels, which often have great onsite day spas. You might pay a little extra if you're not a guest, but you're guaranteed quality and some heavenly downtime. Mt Eden, Ponsonby and Devonport have some beautiful boutique spas, great for a pampering day out of town. Most spas will offer a range of treatments, or pre-determined packages, but if you have something specific in mind, or a combination of treatments that aren't listed, don't be afraid to ask. Aucklanders are a friendly bunch, and your host will want to make sure your every need is attended to. Tamara Day Spa, Auckland offers both women and men a spectrum of authentic and traditional day spa wellness treatments and experiences in a stylish and soothing ambience. Have you got a passion for gaming? There is no better time to experience MOTAT than at one of our regular Live Days! The New Zealand premiere of an exhibition and performance series by artists Louise Potiki Bryant and Santee Smith at Auckland Arts Festival 2019. The MOTAT Adventurers’ Society is seeking out new members! Do you have what it takes? Auckland Theatre Company’s ASB season of The Audience.